Traditional Chinese medicine is a healing approach that originated in China thousands of years ago. Often referred to as "TCM," practitioners use herbs, diet, acupuncture, cupping, and qigong to prevent or treat health problems. Although it is still practiced in many of China's medical facilities alongside modern medicine, in the United States, traditional Chinese medicine is considered a form of alternative medicine. Although standard treatment in modern medicine is based on the diagnosis, in TCM, the treatment would depend on the underlying imbalance. For example, a person with insomnia may have difficulty sleeping because of an imbalance such as a kidney yin deficiency, spleen qi deficiency, or blood deficiency. Rooted in a philosophy known as Taoism, traditional Chinese medicine is based on the theory that all of the body's organs mutually support each other. Therefore, in order to be healthy, an individual's organs (and their functions) must be in balance. This balance is attained, in part, by harmonizing yin and yang, two opposing but complementary energies thought to affect all life. Another theory in traditional Chinese medicine is that vital energy (called "qi" or "chi") flows throughout the body via certain pathways (or "meridians"). According to this theory, disease and other emotional, mental, and physical health problems develop when the flow of qi is blocked, weak, or excessive. Restoring the flow of qi is considered essential to balancing the yin and yang and, in turn, achieving wellness. During a typical appointment, a TCM practitioner would assess your overall health by taking a health history, doing a tongue assessment, pulse assessment, and a physical exam. The exam would identify any Imbalances or qi blockages. If the practitioner identifies an imbalance in one of TCM's organ systems, it doesn't necessarily mean that the person has a physical disease in that organ. The liver, for instance, helps to regulate the smooth flow of qi. If a person has "liver qi stagnation", the energy is said to be blocked, resulting in irritability, anger, or depression, a bitter taste in the mouth, indigestion, and a pulse that practitioners describe as "wiry". A "kidney yin deficiency", on the other hand, is associated with a dry mouth, hot flushes in the afternoon or evening, tinnitus, and forgetfulness. The tongue is usually reddish in color with little or no tongue coating. Practitioners describe the pulse as "floating". Acupuncture: Though acupuncture's roots lie in TCM, it is used as a western treatment for a variety of health concerns. Acupressure: Finger pressure is applied over acupuncture points and meridians. Diet and nutrition: Foods are thought to have warming/cooling properties and are said to have specific healing properties. Herbal medicine: Herbs and herbal tea may be suggested. Moxibustion: A practice that involves burning an herb near the skin to warm the area over acupuncture points. Tuina: a type of bodywork that combines massage and acupressure. Rather than prescribing specific herbs, practitioners of traditional Chinese medicine typically combine a number of different herbs in formulas selected depending on the patient's individual needs. These formulas may be given as teas, capsules, tinctures, or powders. While consumers face risks when purchasing any dietary supplement (such as contamination with other substances) due to a lack of regulation, these risks may be of greater magnitude with herbal products that have been manufactured abroad, particularly those containing a variety of herbs. For some people, TCM may provide a unique perspective into lifestyle factors that may influence your health. 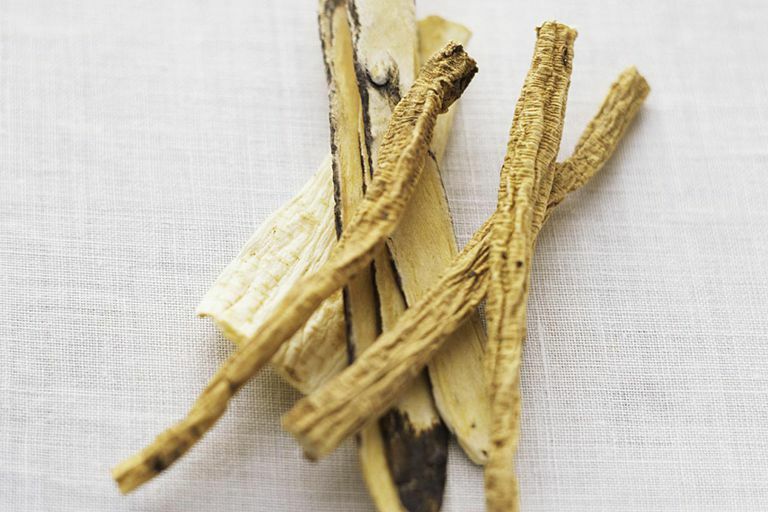 There have been few high-quality clinical trials showing that TCM can treat disease, so it's important not to self-treat or use it in place of standard care. If you're considering trying traditional Chinese medicine, seek a qualified practitioner and consult your doctor to weigh the pros and cons of the therapy and discuss whether it's appropriate for you. National Center for Complementary and Alternative Medicine. "Traditional Chinese Medicine: An Introduction". NCCAM Publication No. D428. March 2009. University of Maryland Medical Center. "Traditional Chinese medicine".